The P.E.I. government says any restrictions on freedom of expression in its new referendum legislation are “reasonably necessary” in order to ensure a level playing field for both sides in the upcoming debate on proportional representation. The P.E.I. government says any restrictions on freedom of expression in its new referendum legislation are "reasonably necessary" to ensure a level playing field for both sides in the upcoming debate — and vote — on proportional representation. Bill 38, the Electoral System Referendum Act, would limit groups and individuals to spending no more than $500 on referendum advertising unless they register with government, in which case they would be permitted to spend a share of $75,000 in taxpayer funding for each side in the debate. Exceeding spending limits would lead to fines of $10,000 or more. Both the Green Party and the P.E.I. Coalition for Proportional Representation have raised concerns, suggesting the legislation would not withstand a legal challenge under the Canadian Charter of Rights and Freedoms. The coalition has announced it is disbanding because of what it calls repressive rules in the legislation. Last week when pressed by the Green Party as to whether government had obtained a legal opinion on the constitutionality of the bill, P.E.I. Attorney General Jordan Brown told MLA Hannah Bell she was "free to get your own legal opinion on it." But on Tuesday Brown tabled a legal brief which concludes government's bill "has been tailored to ensure that the freedom of expression is not limited more than is reasonably necessary in order to give effect to the stated purposes of the proposed legislation." 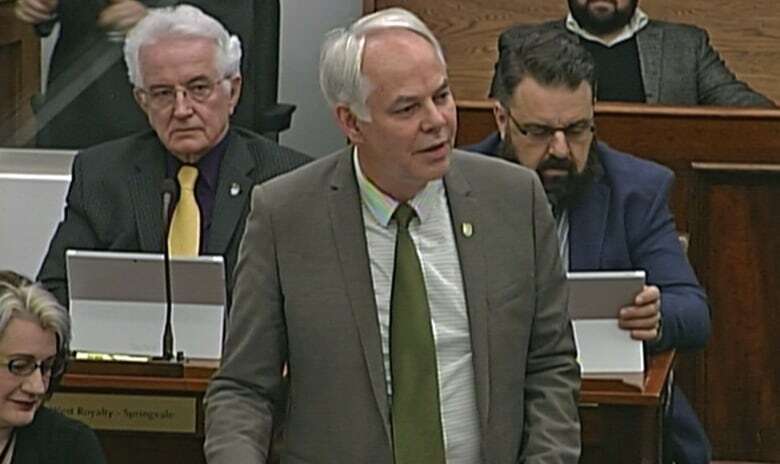 In debate Tuesday night, Communities, Land and Environment Minister Richard Brown said without spending restrictions, outside organizations could wield undue influence in P.E.I. 's referendum. "I hear all the time about the constitution, it's not constitutional, it's freedom of speech," said Richard Brown. "There are limits on everything. We do not allow people, in freedom of speech, to promote hatred, racism … The courts have allowed some limits." But Green Leader Peter Bevan-Baker said government's legal analysis has overlooked a key ruling, where the B.C. Court of Appeal ruled the province could not restrict advertising by third parties in the period before an election. 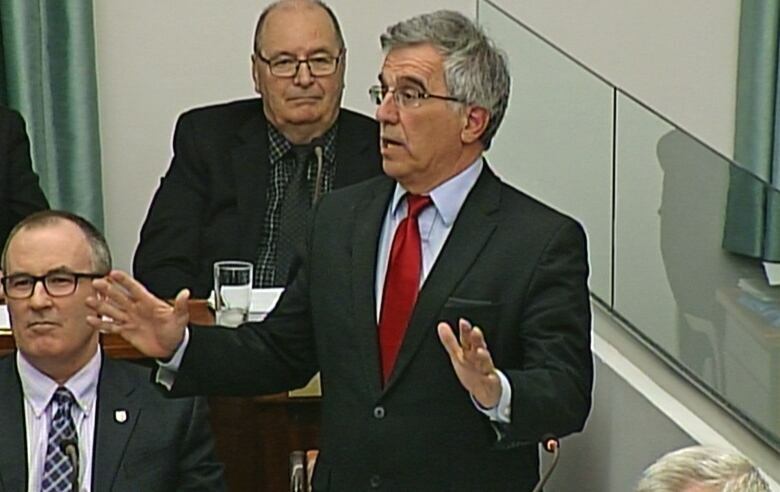 He said given the fixed date set for P.E.I. 's next election in October 2019, with the possibility of a delay because of a federal election about the same time, the spending restrictions, along with a prohibition on raising money by referendum advertisers, could be in place for almost two years. Bevan-Baker asked how that would affect groups like the P.E.I. Council of People with Disabilities, which has been a member of the P.E.I. Coalition for Proportional Representation. "The Council of People with Disabilities offers incredibly valuable programs for Islanders," Bevan-Baker said. "They might want to campaign in support of MMP. Can they raise money during this period for other purposes?" 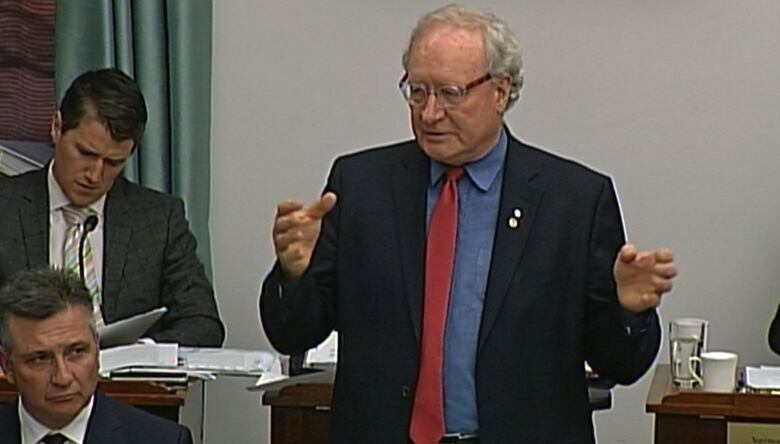 Premier Wade MacLauchlan said groups would be allowed to raise money for purposes other than advertising in the referendum. But Bevan-Baker wondered how government would draw the distinction. The prohibition in the current draft of the bill says designated referendum advertisers "shall not accept any contributions during the registration period." Jordan Brown explained how a number of conditions would have to be met before any group could become a registered referendum advertiser and qualify for government funding. 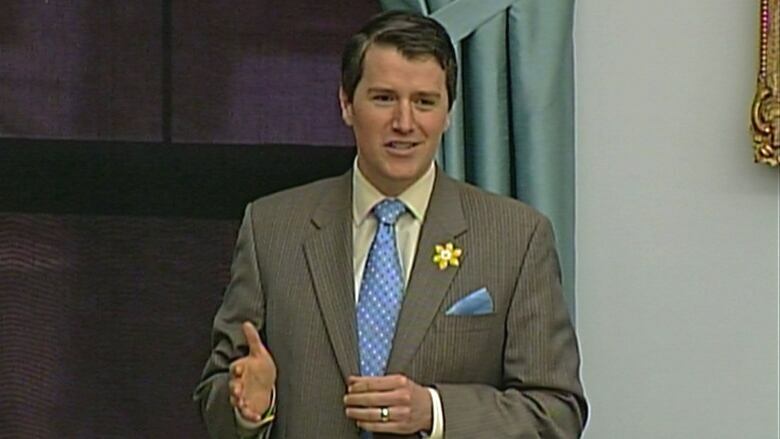 "As an example, are two-thirds of their constituent members Prince Edward Islanders? Is their group open to be joined by all?" Brown said. "There may be an issue with them becoming one of the [registered advertisers] for those reasons." Bevan-Baker also raised concerns around what would be considered referendum advertising under the bill, and thus subject to the spending restrictions and the penalties for breaking them. According to the bill, editorials, interviews, letters, columns and news articles are exempt from the restrictions, but only if published "without payment, reward or promise of payment or reward." Bevan-Baker said his interpretation of the bill was that a newspaper editorial written by staff is only permissible if it's produced without payment. "Often editorials in newspapers will endorse a particular party for example in an election, or in the case of a plebiscite they may endorse one side over the other," said Bevan-Baker. Jordan Brown said context was important. "If The Guardian decides that they're going to start being in the business of referendum advertising as it's defined in here, and they want to put 'editorial' on the top of it, they're going to be into a problem," he said. 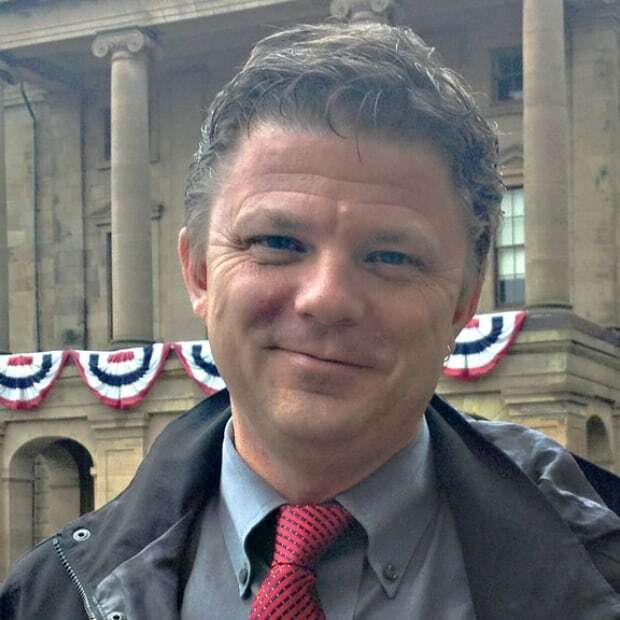 When asked if a newspaper would be allowed to produce a special issue or insert on the referendum, Brown said, "It would depend on the circumstances." When pressed, Brown said he felt preventing such a publication would be a justifiable limit on freedom of expression under the charter.